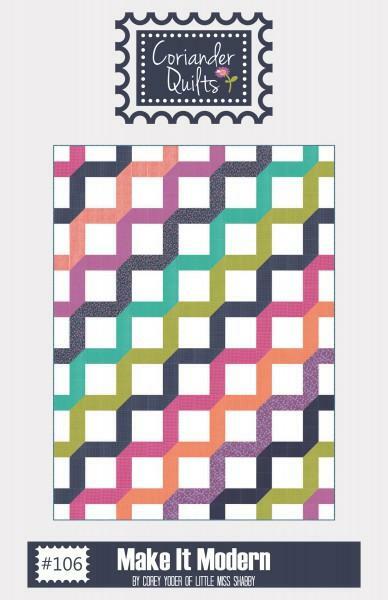 Make It Modern by Corey Yoder for Coriander Quilts CQ106. Size 72" x 96". Yardage friendly.